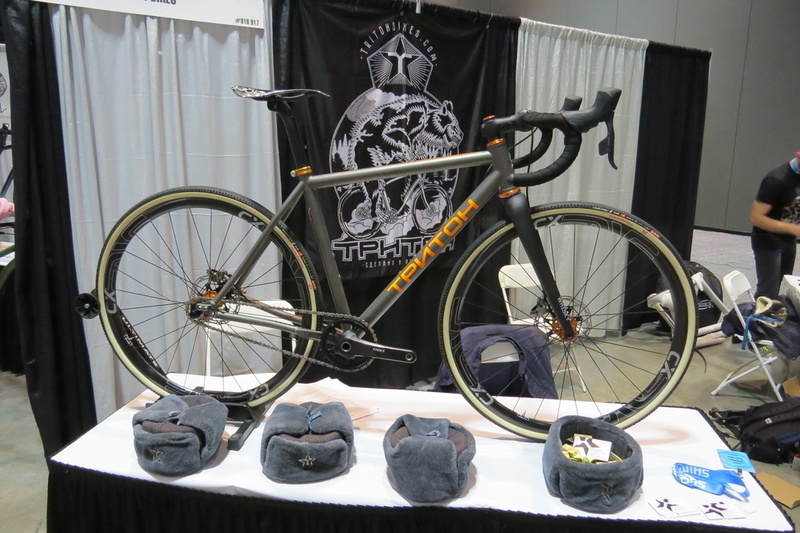 I had the pleasure of attending the NAHBS 2018 Day 1 today. It was my first time at the show, so I wasn’t sure what to expect. Beside the amazing custom bikes with custom parts and paint jobs it was the passion of the builders that stood out the most. More than one of the builders I spoke to talked about the pleasure of sharing the build process with the customer and how much it meant to them. The look in their eyes as they talked about it really told you just how much they enjoyed the process. I focused on bikes for Day 1. There were many to ogle over and convent. 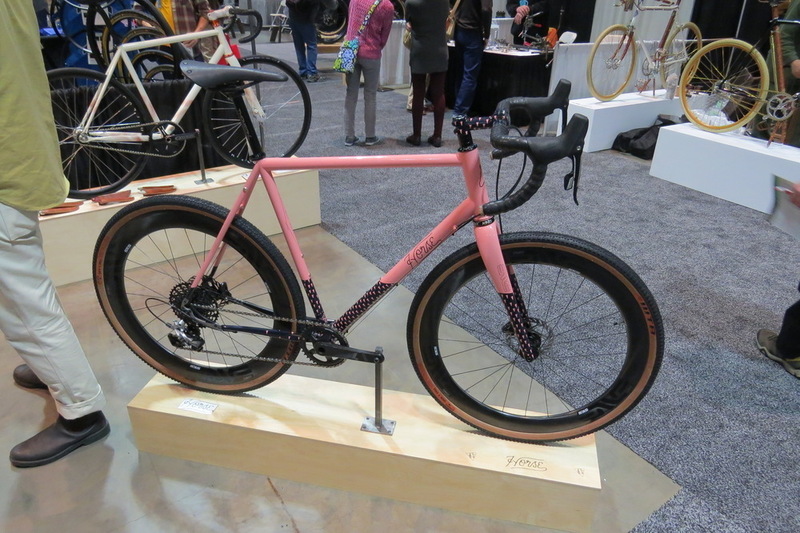 What follows are just some of the bikes that the NAHBS 2018 Day 1. Stinner Frameworks. Ti frame and fork, 650B Boost, 21-22 lbs. 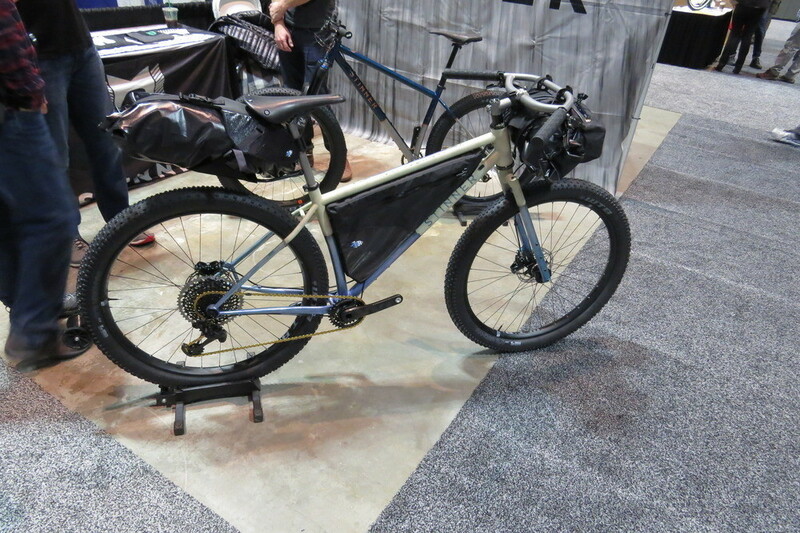 Porter Cycles trail bike. Tig welded Columbus and Dedacciai tubing w/ stainless custom racks (panniers fix either front or rear), 1×9 Sram drivetrain, 26×2.5 wheels. Squid Bikes. 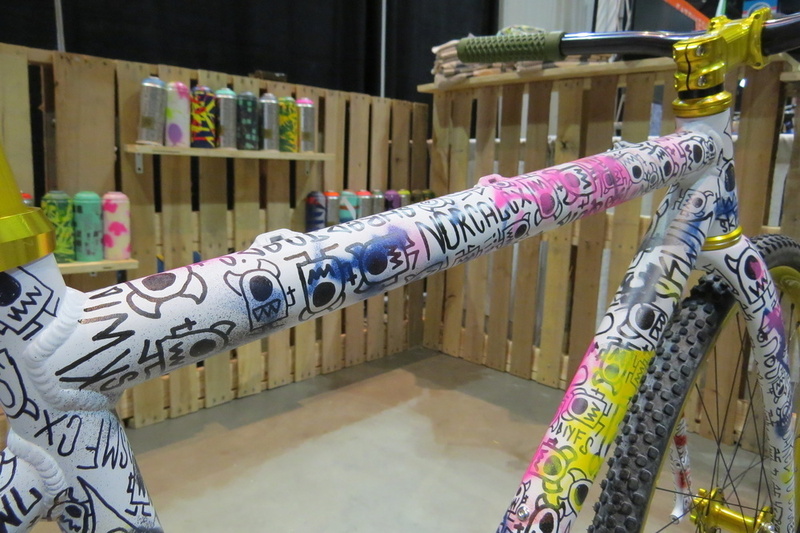 Tracklocross Fixie w/ custom hand painted frame and fork. SaltAir Bikes. 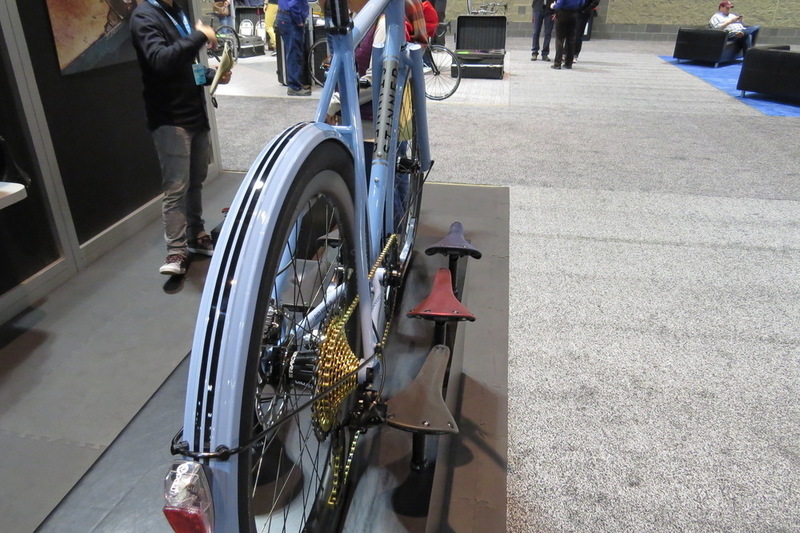 Disc road, hand built in SLC, UT. 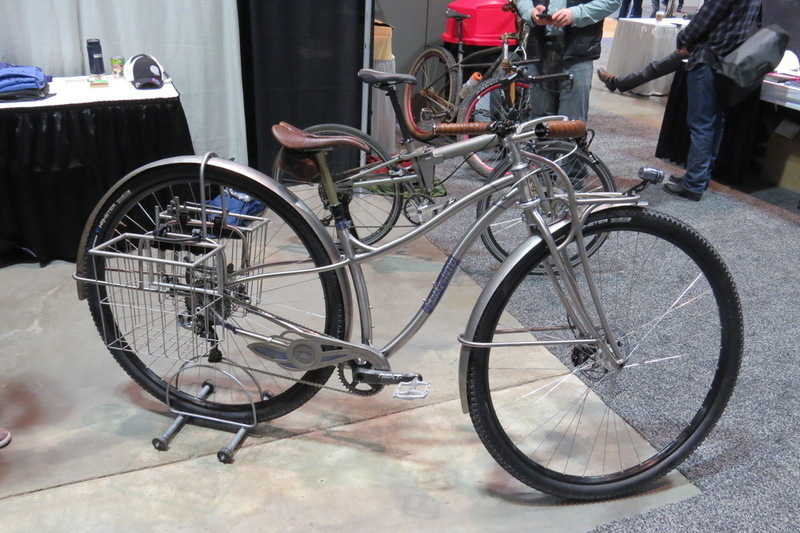 Features 12 speed Pinion Gearbox. 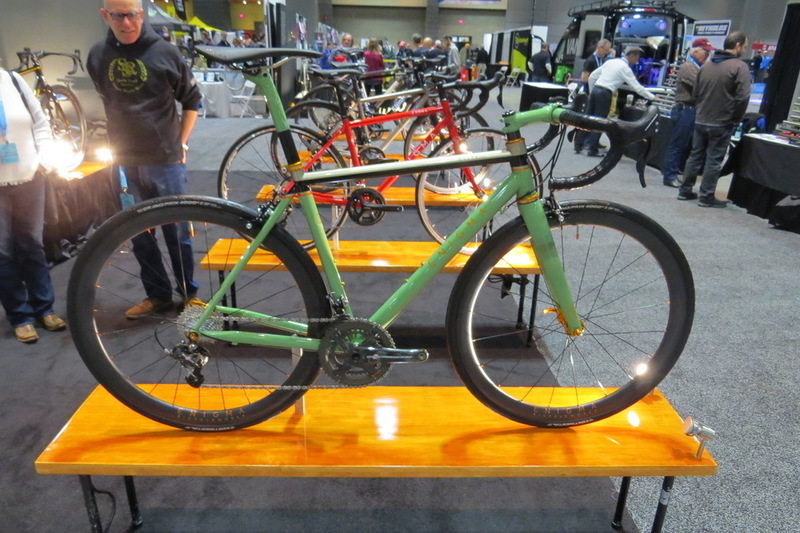 TPNTOH Bikes Ti Cyclocross w/ SRAM Etap, Industry Nine hubs and Paragon slider dropouts. Stinner Frameworks. 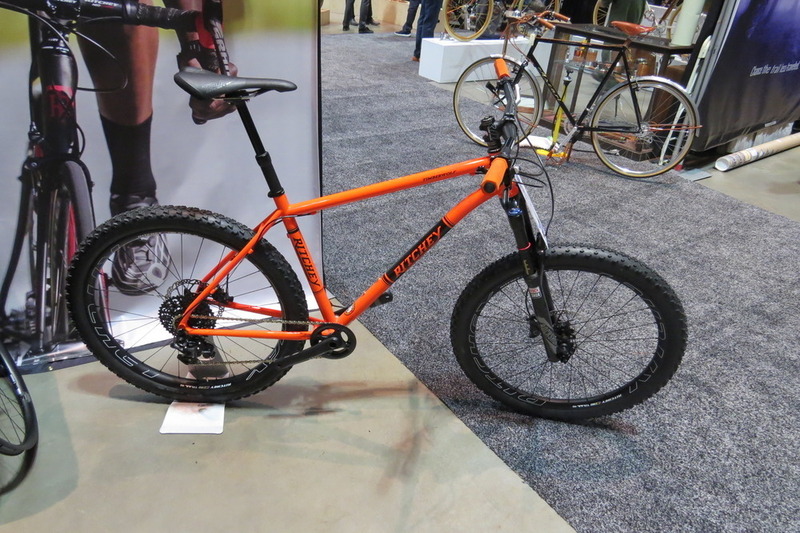 Steel MTB w/ Adventure Fork, Eccentric BB, Manual 2x, Ti seat post (New for Stinner) and adjustable head angle. 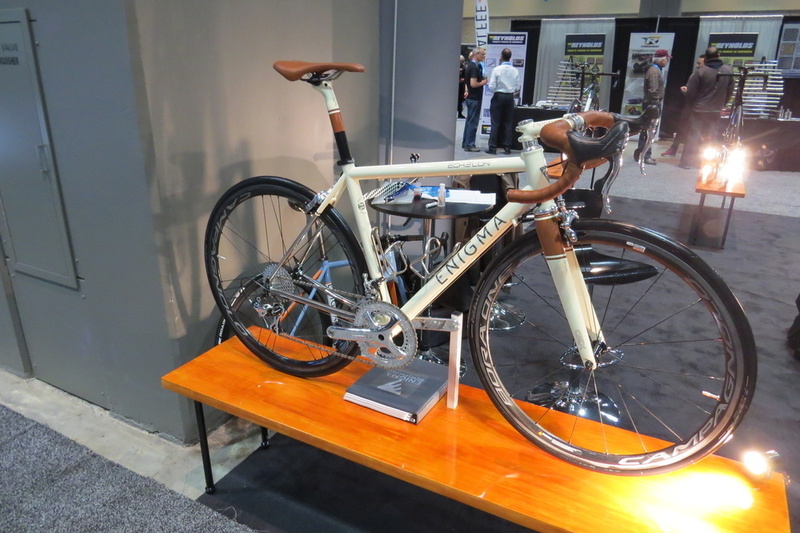 Enigma Bikes. Steel Road w/ Columbus tubing. 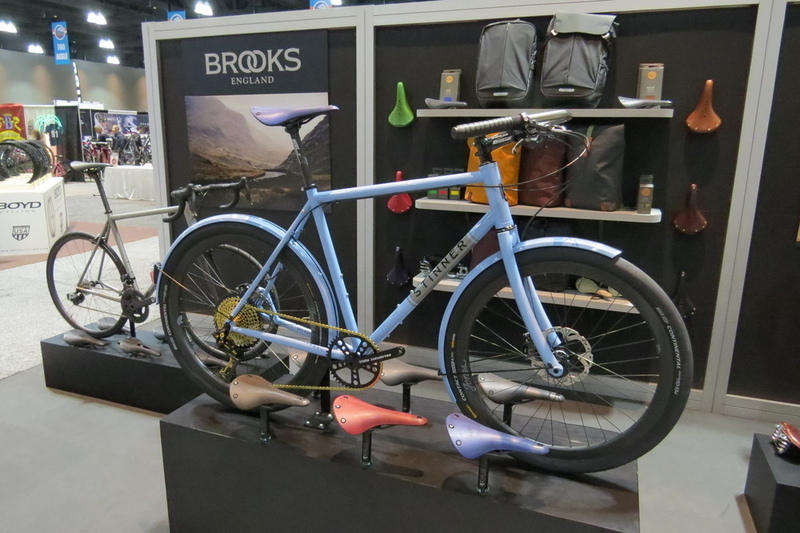 Enigma Bikes. Ti Road. Engima bikes are completely made in house with as many British parts as possible. 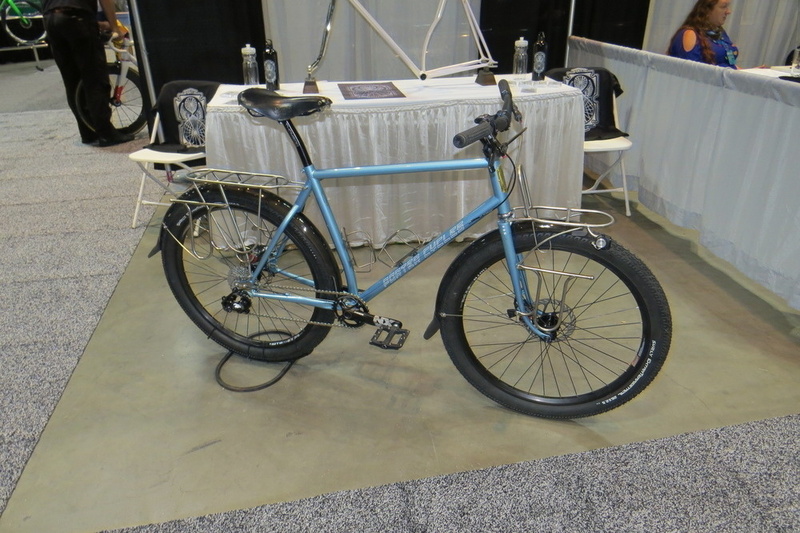 Horse Cycles – All Road. Steel True Temper w/ custom paint featuring Horse’s “Tiger Claw” print. 700×45 (can run up to 47’s). Breismeister – Gravel. Fillet Brazed Columbus tubing. 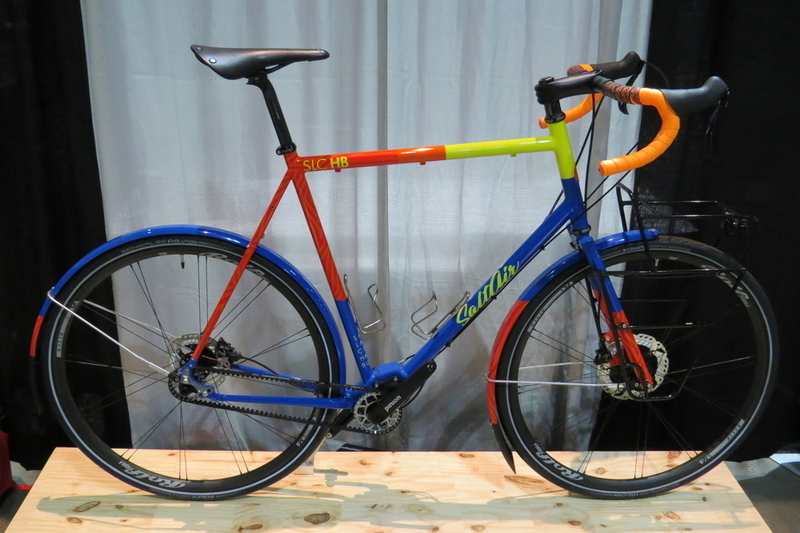 Builder/Owner Doug said he wanted a gravel bike with clean lines, that handle well with skinny tires and wide. He also wanted a racy look. 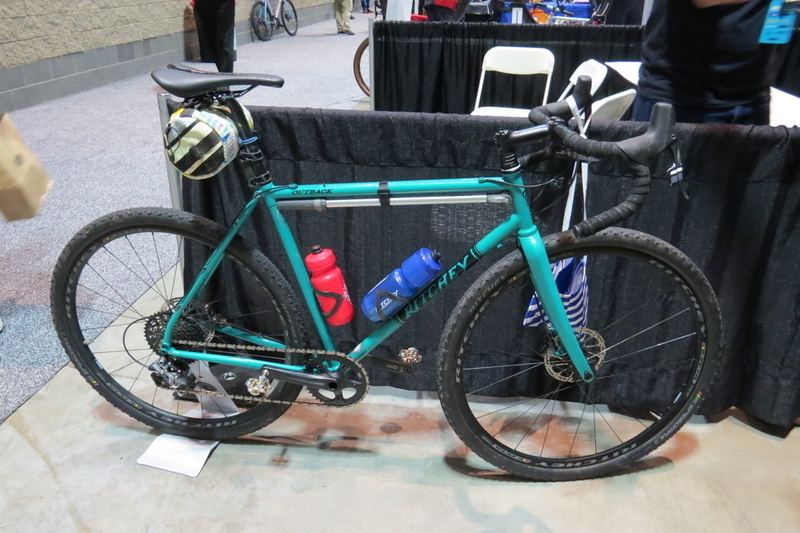 Ritchey – Timberwolf All Mtn. Logic Tubing, 140mm fork, and 27.5 x 2.25 wheels. 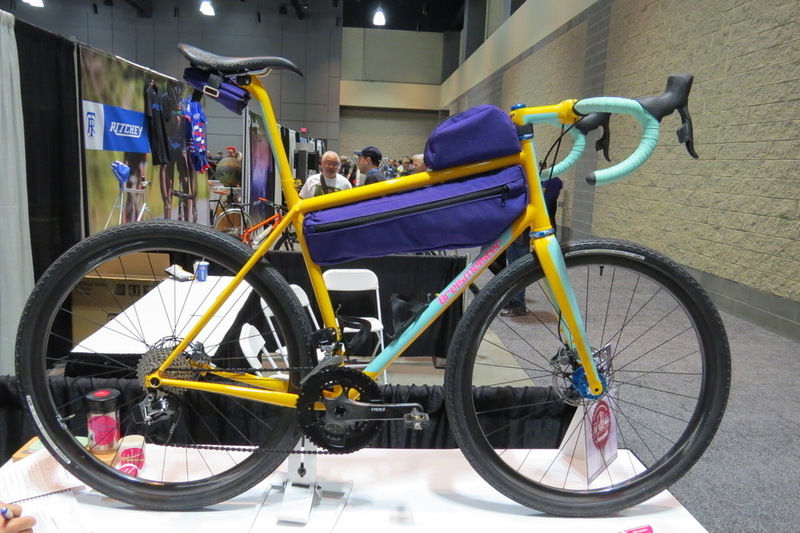 Ritchey – Outback. 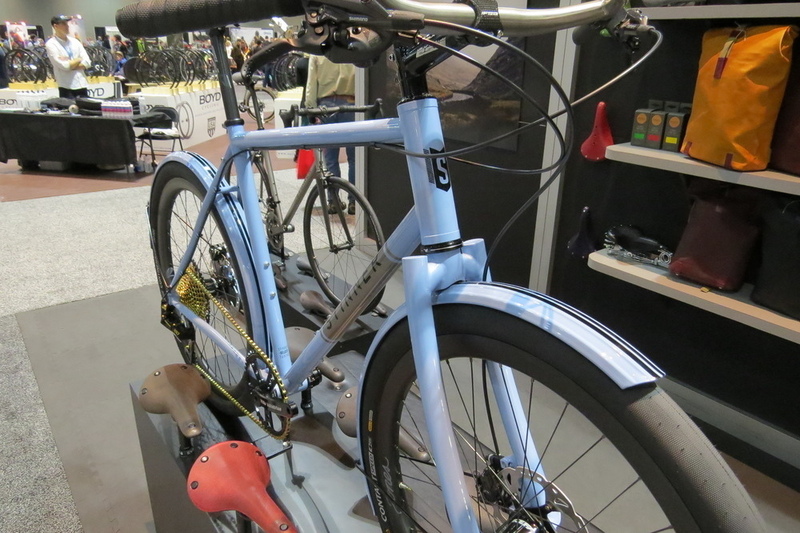 Ritchey’s answer to gravel bikes. 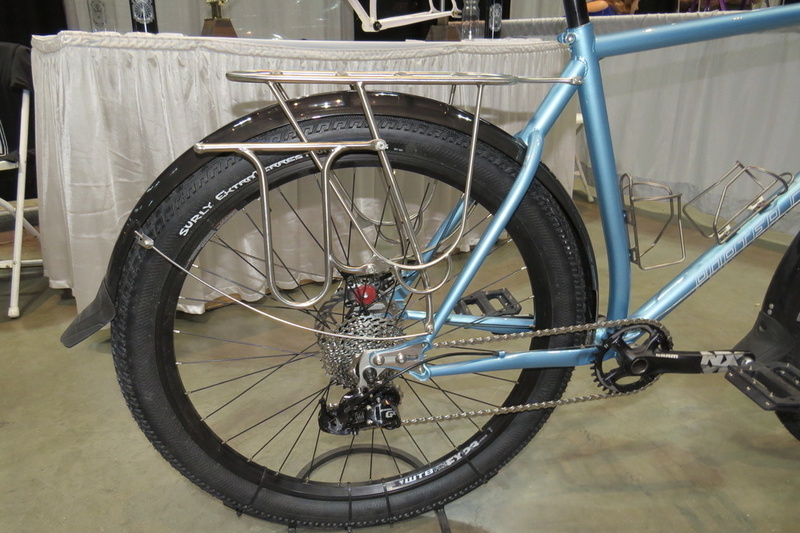 Logic Tubing, 142×100 spacing, 40C tires. Black Sheep – 36er. Shimano XTR Di2, Thomson Dropper, SON Hub and custom panniers. 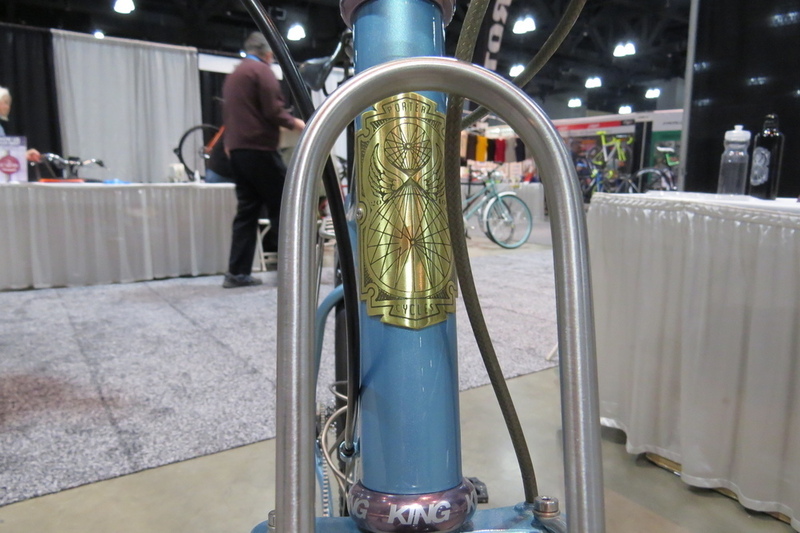 Come back tomorrow as I’ll be bringing highlights from Day 2 of the 2018 NAHBS Show. Day 2 I’ll highlight some of the best components of the show.